Sure, most Southeastern climbers crave winter, with its crisp, dry air and sticky sandstone and granite slabs. But that's not to say that spring doesn't have its draws. With the cool fragrant breezes, gloriously warm sun, and clear blue skies, sometimes it's worth sacrificing that white whale problem that you only had a shot at when the rock was dry, just to get outside and climb in a relaxed and enticing natural setting. 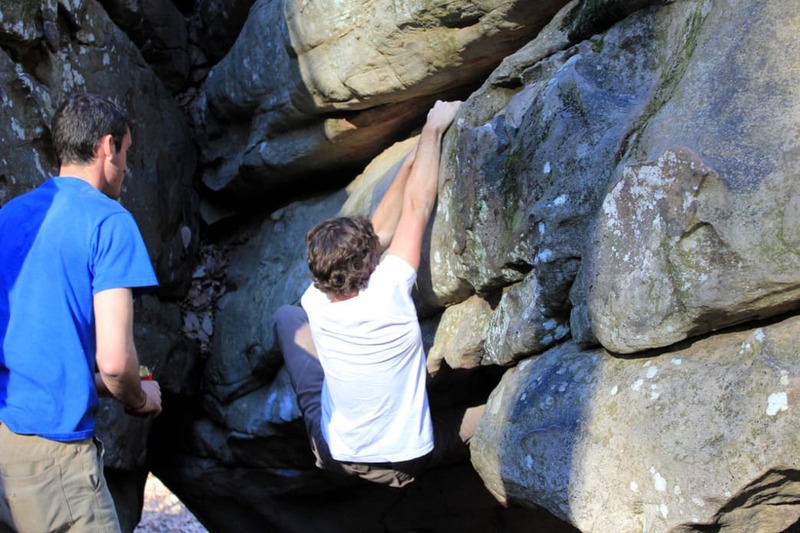 To jump-start your spring climbing tick-list, here is a list of 12 rock climbing or bouldering destinations within two hours of Birmingham. Okay, so this first one's not outdoors. But First Avenue Rocks is just too good not to mention. And it's the perfect spot for getting back into the climbing groove, especially during April showers. 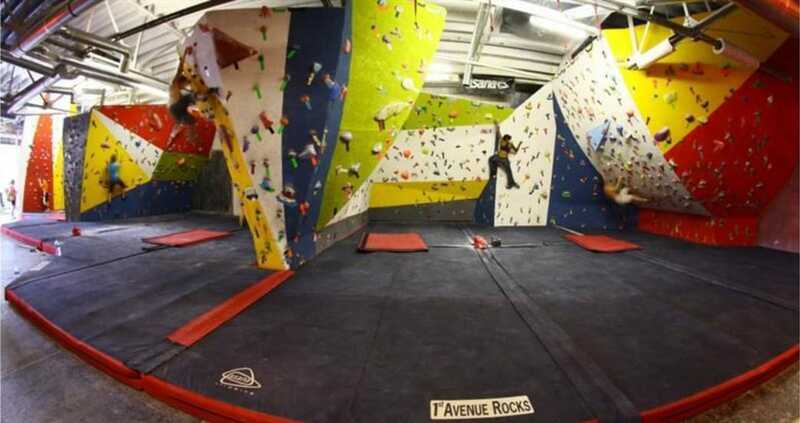 This 4,500 square-foot facility is loaded with a diverse range of boulder problems that will have you ready for the real thing in no time. 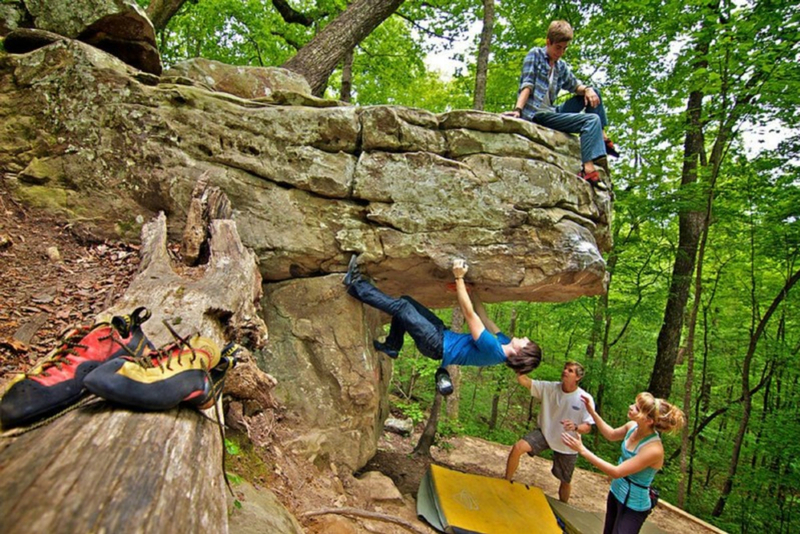 With about 40 bouldering problems ranging from V4 to V8, Moss Rock Preserve has something for every level of experience, beginners to experts. There are even a few V10 spots for the ambitious boulderer. If you’d rather go for climbing than bouldering, there is one particular rock called The Bolt Boulder with a few bolts for a top rope anchor and will give you a few quick 5.10 routes. Palisades Park doesn’t really have much for boulderers, but it is a trad and top-rope climber’s heaven. Great for beginners with impressive sixty-foot sandstone cliffs begging to be explored, Palisades offers about 100 climbing routes ranging from 5.5 to 5.12. Simply put, Horse Pens 40 is in a league of its own. It is one of the most densely concentrated boulder fields in the world and offers a seemingly endless number of V0 to V12 problems to explore. Plan to take at least a couple of days at the onsite campground if you’re wanting to experience it all, but truthfully, you could spend a lifetime here and never be full satisfied. 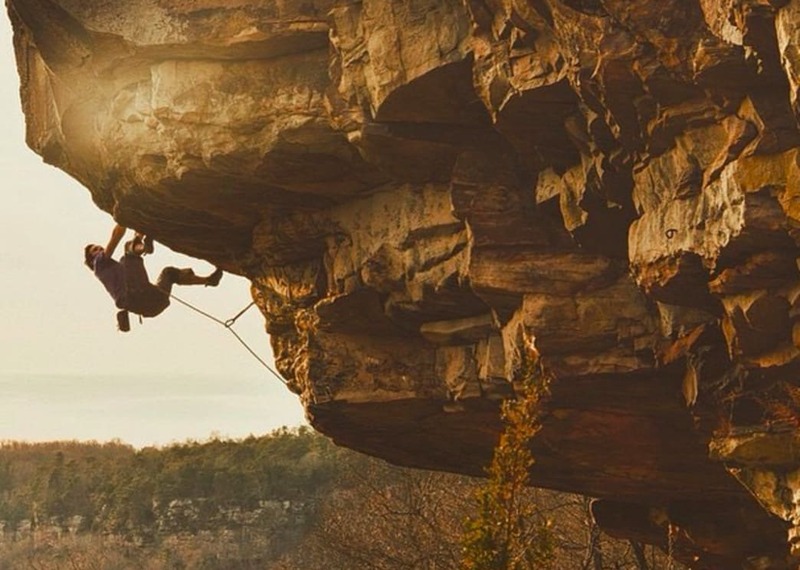 In the tiny town of Steele, Alabama rises cliffs that climbers crave. In this 25 acres of land, with more than 1,400 linear feet of cliff lines towering 80 to 100 feet tall, there are roughly 100 routes offering both sport and traditional lines in the 5.8 – 5.13 range. 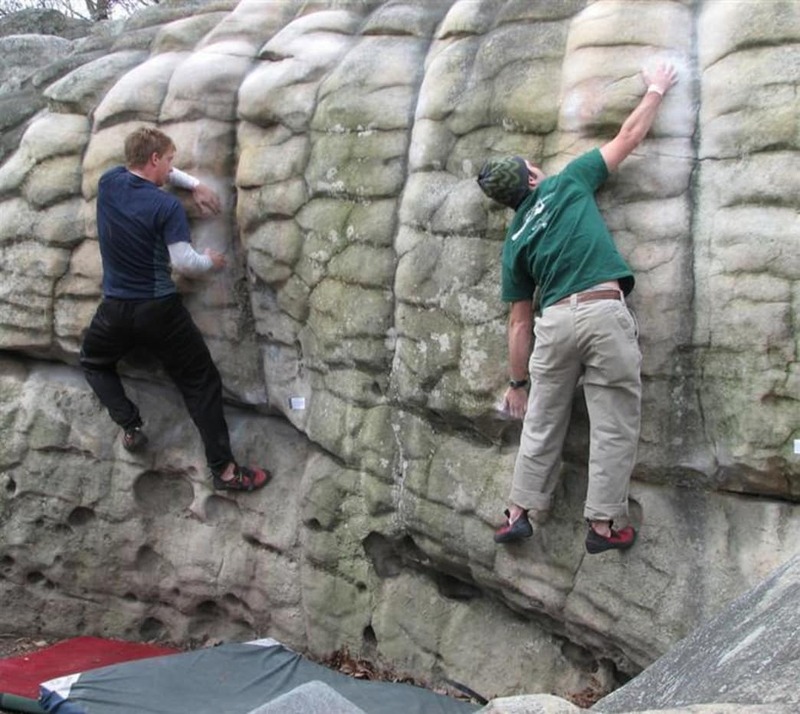 Hospital Boulders is on a fast track to becoming one of the premier climbing destinations in Alabama. Because it's still under development, there's plenty of opportunity for bagging first ascents and still a lot of potential to be realized. Already offering a wide variety of designated problems—including plenty of overhangs and slopers— climbers of all ability levels will find something they can appreciate. And it's rarely ever crowded, which is also a plus. Considered by some to be the Little River Canyon of Huntsville, Yellow Bluff is one of Alabama's most popular crags. Boasting roughly 1,500 linear feet of cliff line and over 30-40 routes for every skill level, acquiring this sandstone crag was one of the Southeastern Climbers Coalition's most impressive triumphs. Freestanding towers of 30-80 foot tall sandstone make Sand Rock a popular place for climbing. There are plenty of sport lines and trad lines to check out in the 5.6-5.13 range, as well as many bouldering problems. And a few amenities like a new bathhouse with toilets, showers, and a covered pavilion make Sand Rock a convenient place to spend an entire day. It may take a couple of hours to drive to Rainbow Mountain from Birmingham, but the travel time is well-worth it. Hiding in the hills of suburban Madison, Rainbow Mountain doesn’t allow roped climbing or bolting at all, but has boulder problems that will entertain boulderers of all skill levels for hours. And don’t forget the camera, because the views from these overlooks are breathtaking. 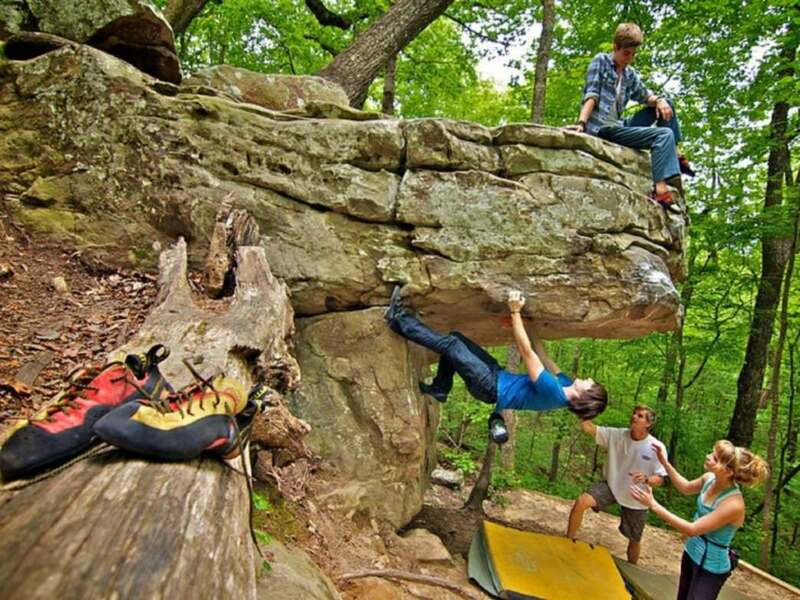 Monte Sano Park is a 2,140-acre forest perhaps best known for its excellent hiking opportunities, but it's also a lovely place for bouldering. Granted, it's a fairly new development, so there aren't too many designated routes, but that's part of the fun. And after you're done bagging that first ascent, you can explore the extensive cave systems at Monte Sano. Well-known for its breathtaking scenery, Little River Canyon also has some of the best 5.10 climbing routes in the Southeast. Reserved for the more experienced climbers, the bolts at Little River Canyon are placed no lower than 30 feet high. Surrounded by Little River Canyon’s dramatic beauty, you’ll arrive pumped and leave, err, pumped out. The wall at Jamestown is mostly made up of traditional routes, but has a few sport routes as well. With 1,700 feet of linear climbing, you’ll get your workout. The downside is that the wall faces the blaring sun, so make sure to go before the middle of the day when the blazing sun bakes the stone. The scenery is gorgeous, and is a worthy reward for the muscle-torching climb. Written by Natalie Cone for RootsRated.